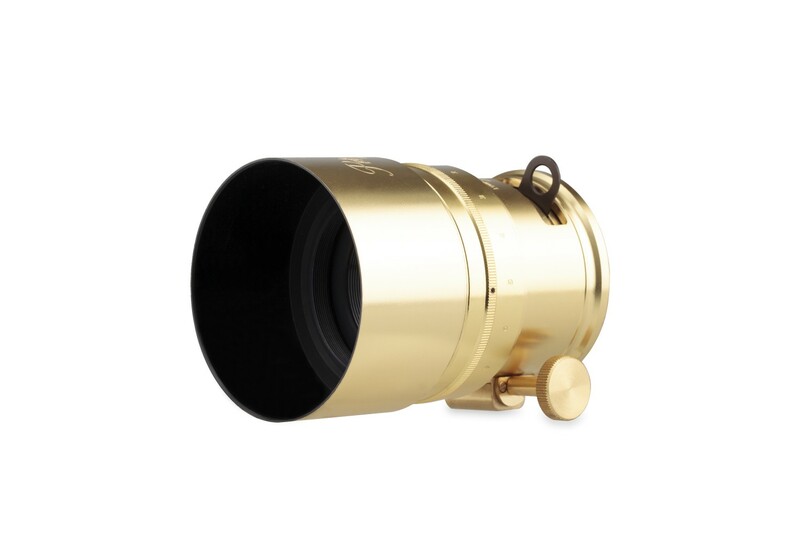 Pre-orders for the Petzval 58 Bokeh Control Art Lens are on a first come, first served basis. Planned delivery date of May 2016. This successor to the New Petzval 85 has a focal length of 58mm gives it added versatility. Pick up the world’s first Petzval Bokeh Control lens for an unmatched amount of control over the swirly bokeh in your photos. Just like its predecessor – the New Petzval 85 Art Lens – the New Petzval 58 Bokeh Control Art Lens features a classic gear rack focusing mechanism and Waterhouse aperture plates for a truly 19th century-like photographic experience. Look back to the future and bokeh like a boss – get your New Petzval 58 Bokeh Control Art Lens today! The New Petzval 58 comes available with Canon EF and Nikon F mounts, which means it’s immediately compatible with a whole host of analogue and digital cameras. You can also pair the New Petzval 58 with many other analogue and digital cameras, like the Sony A7 for instance, by using adapters which can be purchased separately. "The Bokeh Control Ring is located on top of the lens and can be adjusted between levels 1 and 7. Simply by moving this ring, you can change the amount of swirl you get in your Petzval shots. For a subtle swirly bokeh effect, turn the ring to Level 1. Unfortunately each Petzval lens is designed with either a Canon or Nikon mount, so your lens will not automatically work with both. It is possible to get an adapter which allows you to shoot with a Nikon lens on a Canon camera body (but not an adapter from Canon lens to Nikon body, since the flange distance is longer for Nikon than Canon). We strongly advise, however, against using such adapters with the New Petzval 58mm lens since each lens is precisely calibrated using a collimator for perfect infinite focusing in our production factory. We cannot accept any responsibility for damage to your camera or lens caused by using such an adaptor. My DSLR isn’t a full-frame image sensor. What difference will this make to my Petzval photos? The Lomography New Petzval 58mm lens is totally compatible with cameras without a full-frame sensor. However, on cameras with a smaller image sensor, there will be a crop factor so you may notice a lesser effect than with a full-frame sensor camera. On a crop-sensor camera, the sensor is smaller, so you effectively get a crop of the image you would have got from a full-frame sensor camera. Are the Petzval Lenses coated and is the lens waterproof/weatherproof? All Petzval lens elements are multi-coated in a special formula to protect them. However, we cannot disclose the full details of the materials due to industry standards. 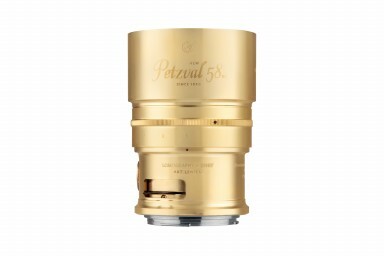 Like most manual lenses, the New Petzval 58mm is not weather/waterproof. However, to prevent dust particles getting into the aperture slots, there is a lining material to cover the Waterhouse aperture slots. The Lens also comes with a special ‘blank’ aperture ring which can be inserted to cover the aperture slot when the lens is not in use. The lens can also be taken apart to clean inside if any dust happens to get in; however, we recommend that this type of lens cleaning is only done by a qualified lens technician to avoid damage to your wonderful lens.